In bid euchre, two teams of two compete against each other to take the tricks and points they claim in each round. It provides an exciting alternative to traditional euchre play. Use a traditional 24-card euchre deck (9s thru Aces) and deal out six cards to each player. There is no kitty in bid euchre. The entire deck is dealt out to players. Bid on how many tricks you believe you can take and what suit would be trump. For example, if you believe you could take 3 tricks in spades, bid "3 spades". Bidding begins with the first person to the left of the dealer. Players can either bid or pass. Once the first bid is made, each player's bid must be at least one higher than the last. If all players pass, the hand is forfeited and the deal moves to the next player in line. Begin play with the highest bidder leading the first card. As in classic euchre, all players must follow suit with the lead card unless they do not have that suit in their hand. The trick goes to the team whose player threw the highest card. Play continues this way through all six tricks with the trick-taking player leading the next round. Score the hand. Count the tricks each team has taken. If the bidding team secured the number of tricks they bid (or more), then each team gets one point for each trick. If the bidding team did not get enough tricks, then they have been "set" and lose points equivalent to the number of tricks they bid. The winning team still gets one point for each trick they took. Win the game by getting the predetermined number of points necessary. You can play to any number of points, though typically, a bid euchre game is played to 50 points. 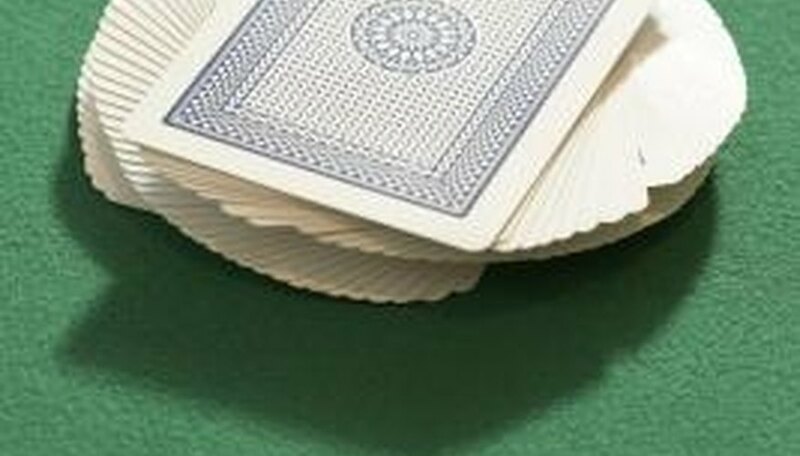 Some variations of bid euchre include the ability to call a number of tricks without calling trump. If this call wins, play progresses as if there were no trump and all suits were equal.